The High-Speed isolator provides galvanic isolation between the USB host and device and protects the..
Sabre 9018 with USB Type C DAC for new Macbook, Nexus 6p and other type C smartphones and computers!.. 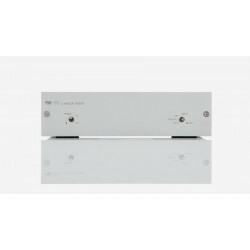 This This digital to analog converter is even smaller than our original Sabre DAC and offers most of..
BackgroundOur original Android DAC was the first commercially available dedicated Android DAC when i..
BackgroundThe new SPDIF DAC features the Sabre ES9018K2M DAC using SPDIF optical input instead of US.. The HiFime UDP80 is a true Digital PWM amplifier with no A/D conversion, no preamp or any analog sig..
iBasso D14 BushMaster Portable Headphone AMP/DAC with SPDIF Optical/Coaxial Input - Sabre32..
V90-DAC - OverviewOur aim with the V90-DAC was, on balance, to make the best DAC in the world withou..